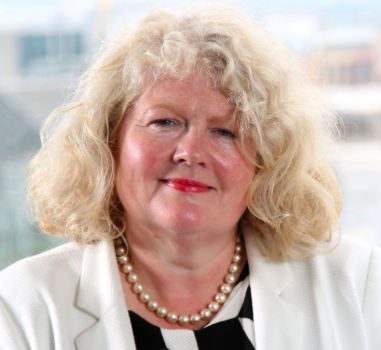 Michele Shirlow MBE – Farm Week Column 7th February 2019 | Food NI - Our Food So Good! How can you expect small food firms to plan for every Brexit outcome? Businesses here are being requested to prepare for Brexit but the problem is that they still don’t know what they should be preparing for. Is Northern Ireland going to ‘crash out’ with the rest of the UK without a trade deal or is there going to be a ‘managed’ withdrawal? Nothing is clear….and it hasn’t been for very many months. We still don’t know for sure what lies ahead as the end of March deadline looms. Most of the food and drink companies, especially our members, really don’t know what to expect. It’s a situation that makes business planning exceptionally difficult. They accept, of course, that withdrawal from the EU is the democratic will of a majority of people in the UK. But Northern Ireland’s geographic position merits special consideration to protect the economy here and the wellbeing of all our people. This is, of course, the reason why the proposed backstop was welcomed by so many business leaders and organisations. Food NI is not involved in politics. Our mission is to promote and support our food and drink processors as well as hospitality businesses. We are dedicated to help accelerate the profitable growth of what is our most important industry. We want to see Northern Ireland harnessing the business potential of our recognition as the World’s Best Food Destination. We have a vibrant, innovative and increasingly successful industry that’s winning sales steadily in Britain, the Republic of Ireland and indeed further afield. Some companies have decided to do nothing in the hope that Brexit won’t really happen. Others think it may all come down to a second referendum, be postponed or may have to go to a second public referendum which, they hope, will democratically halt the withdrawal process. A second referendum, however, looks increasingly unlikely. One thing is certain, a withdrawal that pushes our companies to do business within World Trade Organisation (WTO) rules could be a catastrophe because tariffs are higher. Withdrawal could see greater and cheaper food from other parts of the world being imported in a post-Brexit UK and make doing business extremely difficult for our producers. It’s contended by many experts and representative bodies that the biggest losers in a no-deal Brexit and within a WTO environment will be our farmers and food and drink processors. Withdrawal without a deal will bring serious hurdles that could undermine the overall competitiveness of food and drink producers in Britain, the EU and other markets, especially if the UK has to be accepted by the EU as a ‘Third Country’. This is likely to mean that food producers may have to seek recognition within the Third Country procedure. If they are not accepted they won’t be able to trade within the EU. They will still be required to meet EU requirements. Special export licences will also be required for trading with the EU for not only every consignment going to the EU (so one for every customer every time they get a delivery) but if a delivery contains one or more species or food type, a separate licence for each one so multiple licences are required each time. Export licences must be applied for at least three days prior to the date of despatch according to DAERA, providing details of the name of the product, the quantity and weight along with any special requirement fields needed for each product. So for beef, this would mean proving all the specific cattle numbers and kill dates of the animals used to produce that batch of beef and substantiating traceability documents. A member of DAERA NI must be present and inspect each consignment immediately prior to despatch to the EU. DAERA may not have enough inspectors for this. Another export business recently outlined a problem being faced over a requirement for a new EORI – European Operator Registration and Identification) number after the end of March to enable it to continue to sell to the EU, a requirement that has involved extensive investment and without any guarantee of a reasonable return for a smaller business with limited financial resources. A farm-based, dairy business, the company could face a much higher WTO tariff of 34 percent from April, which would make the products virtually uncompetitive. It goes without saying that this uncertainty is distracting for businesses and I commend them for their focus and energy at this difficult time.